We are one of the leading manufacturer & supplier of Chromatography and Instruments. 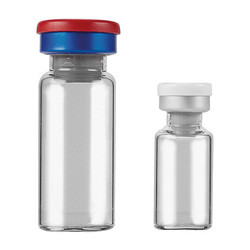 Leveraging upon our excellent team of professionals, we are able to offer the high quality Vials and Accessories. The offered product is manufactured with the help of best quality material and sophisticated technology, in observance with set industrial standards. We offer this product on number of specifications to choose from. Also, this product is inspected by our in-house quality experts on numerous parameters in order to ensure that we are offering only defect free range. COD Digesters apparatus model 2015 D is a solid block heated unit with provision for 15 samples at a time in 40mm dia Reaction Vessel. All the sample are heated at 150oC with in + 1% accuracy with utmost uniformity of temperature. 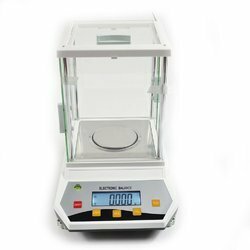 We have high-end expertise in manufacturing and supplying quality-centric Mettler Analytical Balance. The outstanding quality of this product also includes its high end reliability and durability. We adhere to all the norms in order to create customer centric products which are meant to perform to the utmost. The prices at which this product is offered are nominal and highly affordable which is widely appreciated by our clients. We hold enormous experience in providing the patrons with Weighing Balances, which is developed at our vendors end as per international quality standards and norms using the high-grade raw material to confirm quality. Moreover, our products have earned gratitude from the patrons owing to their less power consumption, durability, and low maintenance features. Moreover, the cabinet is accessible in various designs, patterns and sizes and is used in various industries. 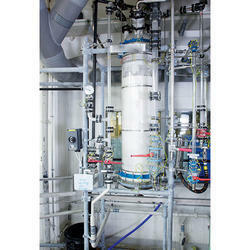 Outfitted with a modern infrastructure, we are the prominent manufacturer and supplier of Gas Chromatography. 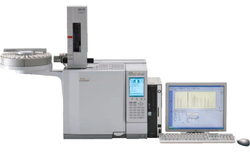 Our offered gas chromatography is an analytical instrument that measures the content of various components in a sample. This gas chromatography undergoes a rigorous testing process that is carried out by our experts in order to ensure its flawlessness. 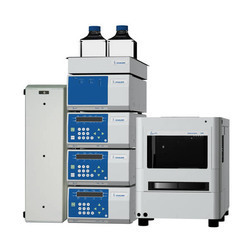 The gas chromatography offered by us is obtainable in a variety of specifications so as to meet the variegated requirements of customers. We are the dynamic, business-oriented organization, ranking among the utmost entities in providing Filtration Extraction Purification Chromatography. Our chromatography is made available on numerous specifications in order to cater to the diverse needs of clients. This product is developed using superior quality material & leading techniques in compliance with the standards of industry. The chromatography offered by us is tested on several parameters for ensuring its flawless supply from our side. Material C1, C4, C18, C8, Silica, Cyano, Amino, Phenyl, BDS, Diol etc. Owing to the dedication of our diligent professionals, we have earned a reputed name in trading and supplying HPLC Chromatography Refurbished and Pre Owned. This chromatography is a form of column chromatography that pumps a sample mixture in a solvent. 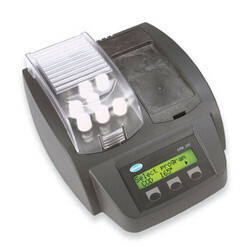 The offered chromatography is available from us on assorted specifications so as to meet the needs of the customers. Our chromatography is precisely developed from the finest quality material & contemporary techniques keeping in pace with industry standards. Pressure Controller Mechanically operated pressure/steam release valve. We hold immense expertise in catering to the variegated requirements of the customers by bringing forth a remarkable range of Autoclave. These quality-assured products are manufactured using high-grade heat resistance plastic, while the panel is manufactured using superior quality stainless steel. Moreover, the products offered by us are tested on various parameters so as to ensure its compliance with set industry standards and norms. 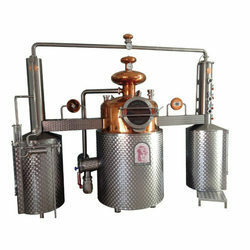 Our range of Distillation Still is fabricated with quality material grade with a welded argon arc, which ensures their strength, durability and appropriate functioning. The complete unit of barn stead type water still is made from stainless steel along with complete argon welding. 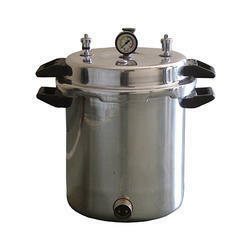 The high quality kettle type immersion heater is provided with our highly efficient Stainless Steel Water Still. We also inculcate water level and drain facility in this barn stead type water still for efficient working. 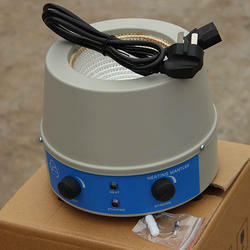 We are one of the well known brands dealing in export quality sturdy Heating Mantle. This equipment is particularly developed from high grade raw material to provide efficient heating without the risk of shattering the glassware. Our offered heating mantles are widely appreciated for its over-temperature protection feature and competitive costs. Pipe Size 15 NB to 100 NB pipe size . we are offering a qualitative gamut of Acrylic Rotameter. The presented Rotameter is offered to the customers in broad quantity after examine on predefined guidelines of the market. 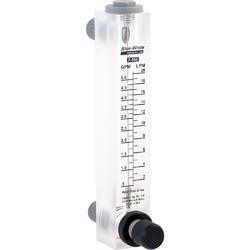 Our offered Rotameter is processed using top quality material & available in various sizes, shapes and model. Along with that, offered Rotameter can be availed in various technical stipulations and customized options. 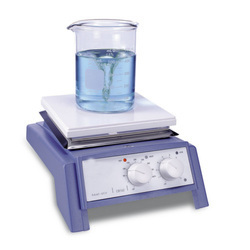 Our company is instrumental in offering premium quality Analytical Scale to our esteemed customers. 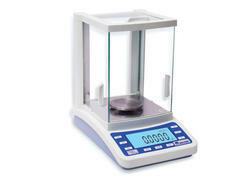 These scales are commonly used in various laboratory and pharmacy for the purpose of measuring small weight of different chemicals in the sub-milligram range. 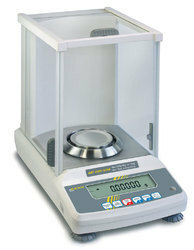 Moreover, these analytical scales are available with us in bulk with tamper proof packaging. Units G, Oz, CT, Lb, Gn, etc. More Function Counting, Last Remember, %, Full Range Tare, etc. Keeping in mind the diverse requirement of our clients we are involved in offering a wide gamut of Digital Analytical Balance. 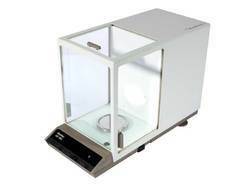 Our ranges of Digital Analytical Balance are extensively used in different places. They are excellent finished during the whole processing in our organization. We are considered as one of the trustworthy and prominent organization of this industry, due to our utmost efforts for maintaining the quality. Our products are widely appreciated among our clients due to their salient attributes. Furthermore, our products range is available at market leading prices. Looking for Chromatography and Instruments ?